A few days ago, when we reported on Amazon picking up Kenneth Lonergan’s Manchester By The Sea for $10 million, we referred to the film as a “Sundance darling” thanks to the huge wave of positive buzz it was building at the festival. Now, though, another movie has come along that is getting so much positive buzz that it makes Manchester By The Sea look like Dirty Grandpa, and it has ripped the “Sundance darling” title right out of Lonergan’s hands. 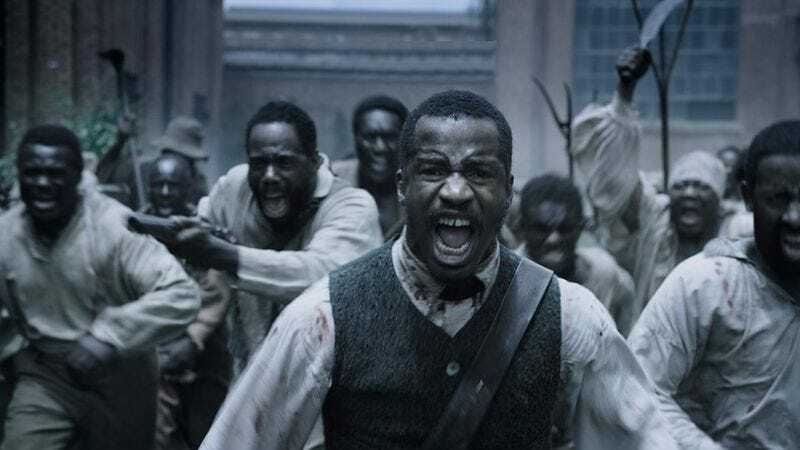 Our new Sundance darling is Nate Parker’s The Birth Of A Nation, which Deadline says has just been bought by Fox Searchlight for a record-breaking $17.5 million. That makes it the biggest deal in Sundance history and one of the biggest deals ever made at any film festival, and that becomes even more impressive when you throw in the fact that Birth Of A Nation is Parker’s directorial debut. Birth Of A Nation is about Nat Turner (played by Parker himself), a preacher who led a slave revolt in 1831, and though The A.V. Club’s A.A. Dowd didn’t like the film as much as Manchester By The Sea, he specifically pointed out Parker’s performance as one of the highlights. Now it’s just a matter of waiting to see how Birth Of A Nation does at the Oscars, and considering that Fox Searchlight was also behind 12 Years A Slave, it’ll probably do pretty well.